The Aleph is a Luxury Hotel and it is an eccentric property created by gifted architect Adam D. Tihany, who becomes a modern-day Virgil as he leads you on an amazing journey filled with heavenly places and sinful delights in his very personal interpretation of Dante's Divine Comedy the Aleph. In this intriguing hotel near Via Veneto in the heart of Rome, the concepts of heaven and hell have been given an unexpected twist. 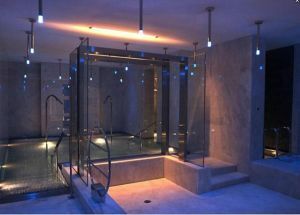 You will find true paradise in the luxurious spa below, and surrender to the tempting treats served above, where hell is represented by Sin restaurant and Angelo Bar. 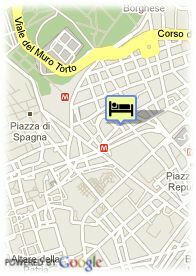 Paid public parking near the hotel (covered) (35.00 km), Reservation obligated. For older children and adults 90.00 € for each additional bed is charged.